Foundation sinking, walls cracking, retaining wall starting to bow, adding an addition or stabilizing footings of a new structure? 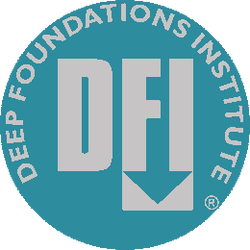 Lift and stabilize residential and commercial foundations using deep foundation helical piles. For most foundation stabilization work, the home will begin to function properly again. This means no more windows or doors that stick, and cracks in wall can be repaired with confidence. EAS can help educate you, walk you through the process and provide options and recommendations to get the problem fixed quickly and cost effectively. Residential and commercial structures utilize deep foundation helical piles to stabilize concrete footing or grade beams. The helical piles are installed to a secure depth as determined by the structural engineer. This results in full integration of the helical piles and concrete grade beams, creating the most stable foundation possible. 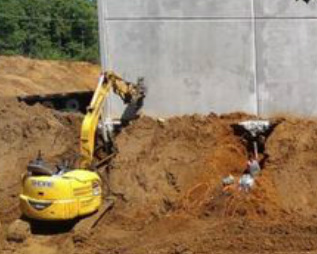 EAS was started by successful, veteran helical pile installers (read our story in About Us). 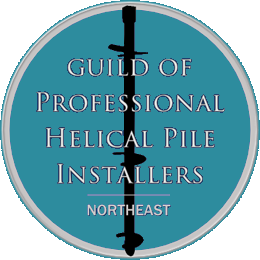 Every product and service we offer reflects our vision of what a helical pile supplier should be. Have questions? Look to EAS as your helpful resource for helical piles and installations.